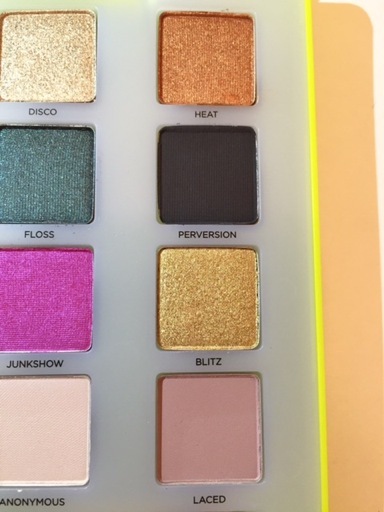 I know you’ve probably seen this bright green palette all over YouTube, Instagram, and every beauty blog you read. But just in case you’re still on the fence, I’ll share my first impressions of the Vice LTD with you before it’s too late to buy. 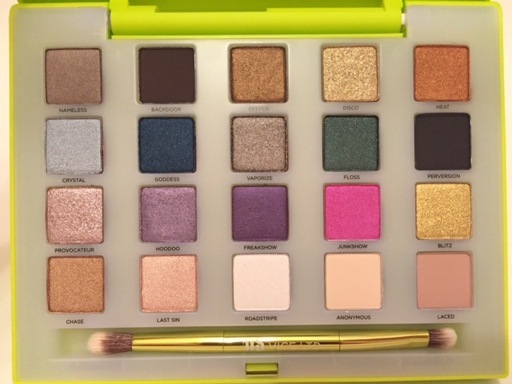 Before I get into the shadows and swatches, please take a moment to take in the beauty of the palette itself. I love the neon green/chartreuse color with the pretty jewel-inlaid “UD” detail. 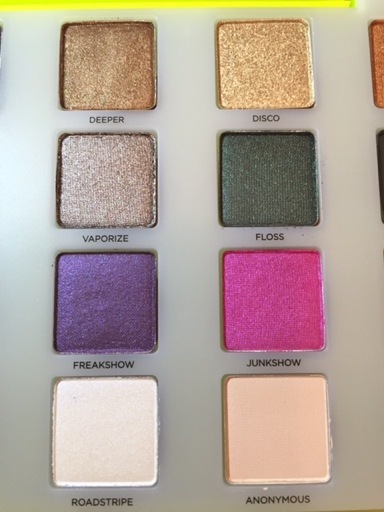 When you press the silver “Urban Decay” button the palette is supposed to open slowly and seductively. However, mine pops open pretty quickly. (Leave me a comment if yours does too. I’m curious.) 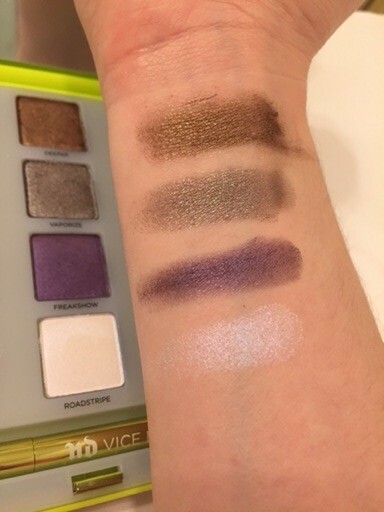 Surprisingly, this is my first Vice palette and my first self-opening palette so I think it’s a neat feature. Surprisingly the only other UD palettes I own are Naked, Naked3, Book of Shadows III, and one of the build-your-own palettes. Therefore, the only duplicate shade for me is Goddess. 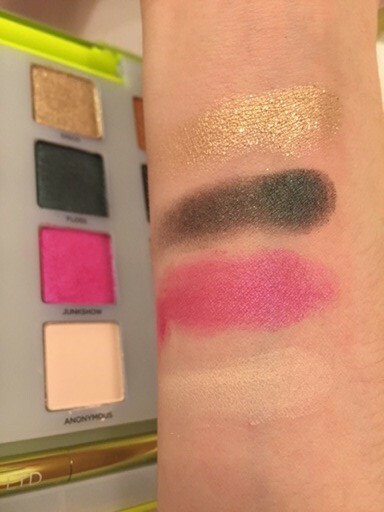 I did some quick swatches by each ‘column.’ They are just one swipe, without any primer. 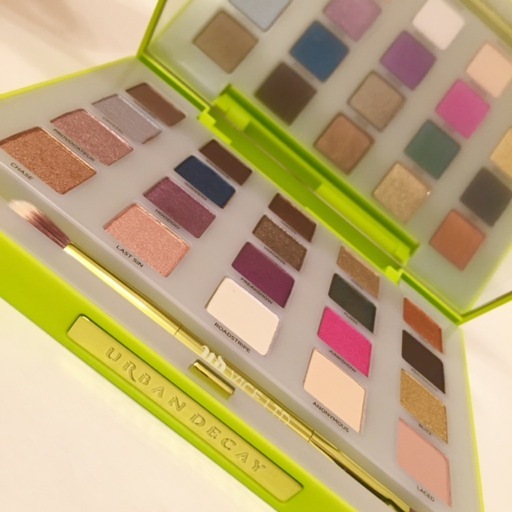 At first I was hesitant to dish out $58 for the palette, but the fact that it already sold out on Urban Decay.com and Sephora.com loomed over my head. So I purchased it the day Ulta.com made it available. Plus, I had been eying up the Vice 3 and after watching some YouTube videos I thought I’d get more use out of the Vice LTD colors. 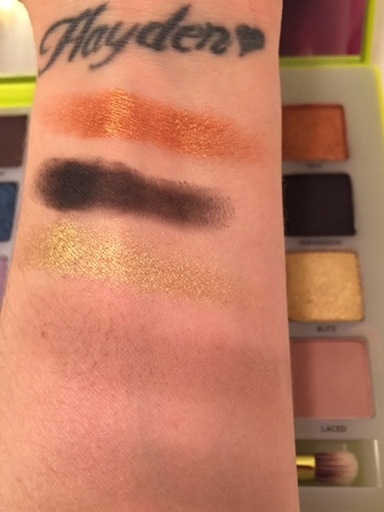 First Impressions: So far I’m liking this palette. It seems like UD might have improved their formula since I purchased the Naked3 over a year ago. Deeper is super buttery! 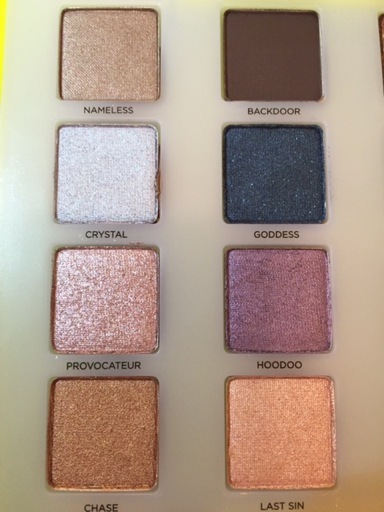 I expected Provocateur and Disco to be dry and chunky, but I don’t mind them at all. Roadstripe doesn’t show up well on camera, but it’s gorgeous! I also adore Heat; look at that copper! 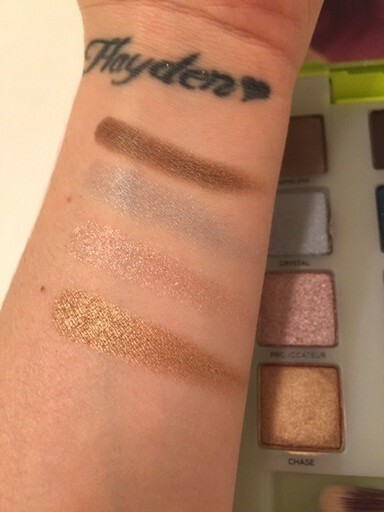 UD eyeshadows are truly some of the best and their palettes are a better deal than purchasing their individual eyeshadows. 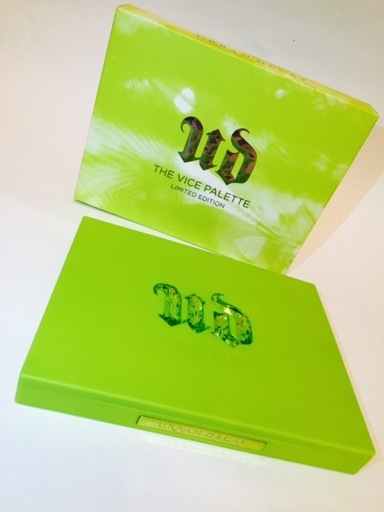 If you want to purchase the Vice LTD palette, grab it before it’s gone for good! 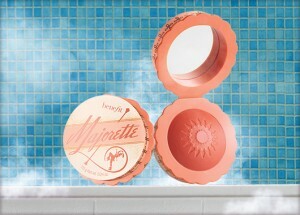 Check your local Ulta or order online here. You made some decent points there. I appeared on the web for the problem and located most people will associate with together with your website. Sometimes I just have to break a “No Buy” month to purchase a delicious smelling peach blush…Was it worth breaking my commitment? 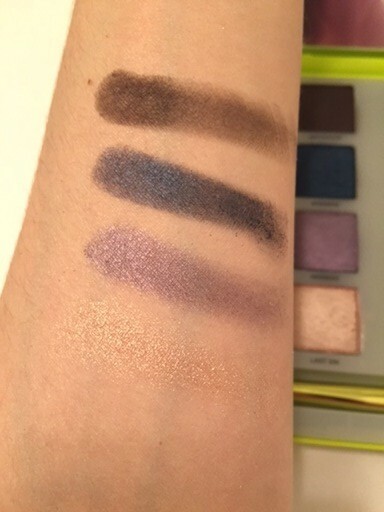 Check out swatches and all the details here.